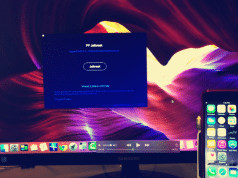 We all know that JailbreakMe was a famous jailbreak tool for iOS developed by Comex, JailbreakMe offers a easiest way to jailbreak your iPhone, iPad or iPod touch untethered. The only thing you need to do is navigate to JailbreakMe page in Safari, and tap on Jailbreak button. 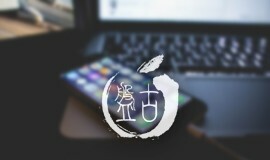 However, the subsequent jailbreak tools mostly appears with the software form, we need to download such as Pangu, Taig jailbreak tools on Windows or OS X to jailbreak the device. 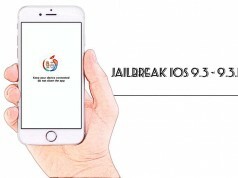 Currently the jailbreak still remain in iOS 9.1, no hacker or team announced that they will release a jailbreak tool for iOS 9.3.2 and iOS 9.3.3. Although the talented Italian hacker, Luca Todesco aka qwertyoruiop been demonstrated he has the ability to jailbreak these the new version of firmware on Twitter, Facebook and Youtube channel. Today Todesco just released another video, which shows he can successfully jailbreak an iPhone running iOS 9.3.2 using Mobile Safari. We can see in the demo video, Todesco can be seen jailbreaking his iPod touch while running iOS 9.3.2, by simply opening a web page and clicking on a link. Once the download process is completed Cydia icon appears on the screen. The hacker is even able to download the MTerminal app from the jailbreak store and run it without any problems. The hacker notes that the stashing is disabled so Cydia is not able to prepare filesystems. Unfortunately, we don’t expect him to release a JailbreakMe for iOS 9.3.2 for us. It does give us hope that jailbreak teams like Pangu or TaiG can figure out a way to jailbreak iOS 9.3.2 using Mobile Safari.